Set in a grim world in which humanity hides in walled cities from people-eating giants -- the titular titans -- the smash hit Japanese series explodes onto the big screen in two live-action films set to be released in Japan this summer. The movie adaptation is written by original creator Hajime Isayama with screenwriter Tomohiro Machiyama, and are directed by "Dragon Ball Z: Battle of Gods" helmer Yūsuke Watanabe. 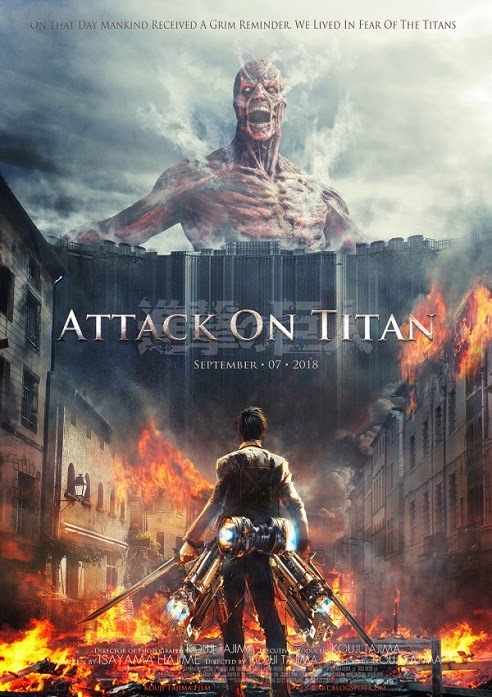 "Attack on Titan" began life in 2009 as a manga comic book series. It was followed by novels and video games and an angst-riddled, utterly bonkers animated series that has enjoyed international success on Netflix. A second series is scheduled for 2016.